DeKalb: Park 88 – Land sites from 5 – 120 acres located ¼ mile north of full I-88 Peace Road Interchange; NW corner of Peace Road & Fairview Drive. 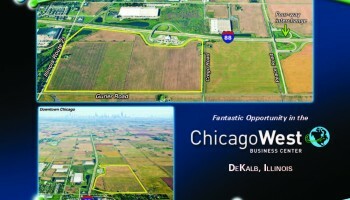 Ideal location for Midwest distribution hub affording distribution, bulk storage, warehousing and manufacturing space. 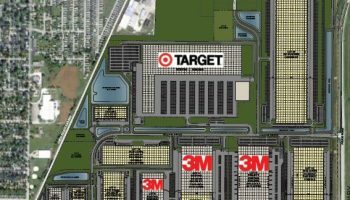 Five industrial lots totaling 65 acres are pad ready. Build-to-suit sites range from 2.4 acres to 100 acres. 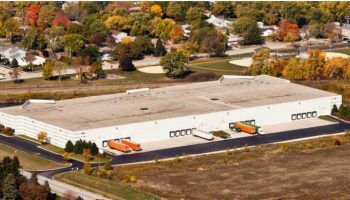 Located in the center of the I-39 Logistics Corridor along Union Pacific Railroad within ½ mile of the DeKalb Taylor Municipal Airport and within 1 hour of Chicago O’Hare, Rockford and Midway airports. 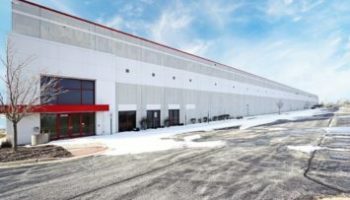 Contact: Jason West, Cushman & Wakefield, 847-518-3210; Sean Henrick, Cushman & Wakefield, 847-518-3215; Michael Magliano, Cushman & Wakefield, 847-518-3259. For information click here or visit Clayco’s website. DeKalb: Gurler & Peace Road -160 acre parcel located on the SWC of I-88 & Peace Road. Property is adjacent to the on-ramp to I-88, which is a full interchange.Contact: Steve Milner, CCIM/SIOR (smilner@rvgcommercial.com) or Denise Weinmann, CCIM (dweinmann@rvgcommercial.com) of RVG Commercial. Phone: (815) 754-4000. For more information, click here. Genoa: Crossroads of Genoa Business Park – Excellent investment property featuring retail, commercial and industrial lots. Real Estate Tax abatements are possible and low interest loans. Good visibility from State Hwy. 23. The 103 acres has been annexed to the City of Genoa and is zoned suburban commercial and suburban industrial. Contact: Richard Hoffman, Broker, Hoffman Realty, phone: (815) 522-3255; email: hoffreal@atcyber.net. For more information go to http://hoffman-realty.com. Sandwich: 110 acre heavy industrial site (Fritsch property) with access to the Burlington Northern Santa Fe Railroad, sewer and water nearby, truck route access to IL 34 (Ogden Avenue in the suburbs), and Industrial Zoning pre-annexation agreement approved by City of Sandwich. Contact: Jim Teckenbrock, Executive Director, Sandwich Economic Development Corporation, phone: (815) 786-6789; email: jteck7@sbcglobal.net. 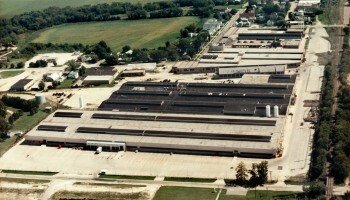 Shabbona: Shabbona Industrial Park – Located on US Highway 30, east of Challand Road, on the north side of US Highway 30 along BNSF Railroad. This 246 acre park has been annexed into the Village of Shabbona. Contact: Paul Borek at borek@dcedc.org or (815) 895-2711. Sycamore: Peace Road/Oakland Light Industrial Park Krpan Acres/Thanks America Subdivision – Commercial, warehousing, light industrial and office sites adjacent to 3M along Peace Road (frontage available), Wirsing Road, Dosen Drive and Oakland Drive. Lots ranging from 1-35 acres are available. Contact: Martin Krpan (815-739-2990) or Maria Krpan (815) 756-7286 Email: martinkrpan@comcast.net. Click here for parcel layout. Visit http://www.milankrpancorp.com/america for more information. Sycamore: Sycamore Prairie Business Park – Premier industrial sites from 1-60 acres, located on Peace and Bethany Roads, in the Sycamore Prairie Business Park. All utilities available. Contact: Dominic Carbonari, phone: (773) 304-4102 or Frank Griffin, phone: (773) 304-4104, Jones Lang LaSalle, or see www.sycamoreprairie.com. For more information on this property, click here. Sycamore: Sycamore Industrial Park – 421 N. California Street – For Sale or Lease – Sycamore Industrial Park – An 11 building-complex with a mixture of 6 masonry buildings and 5 metal/steel buildings (9 of 11 are 100% sprinklered). 37 interior and exterior docks with 10 drive-in doors. Ceiling heights range up to 40 ft clear. $798,516 gross income @ 35% occupancy with many long-term tenancies. Located on 36 acres. Contact: Paul Rogers (rogers@inlandgroup.com or 630-954-4448) or William D. Dozier, Jr. (dozier@inlandbrokerage.com or 630-990-5356) of Inland Real Estate Brokerage & Consulting, Inc. For more information Click Here.